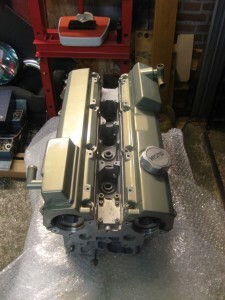 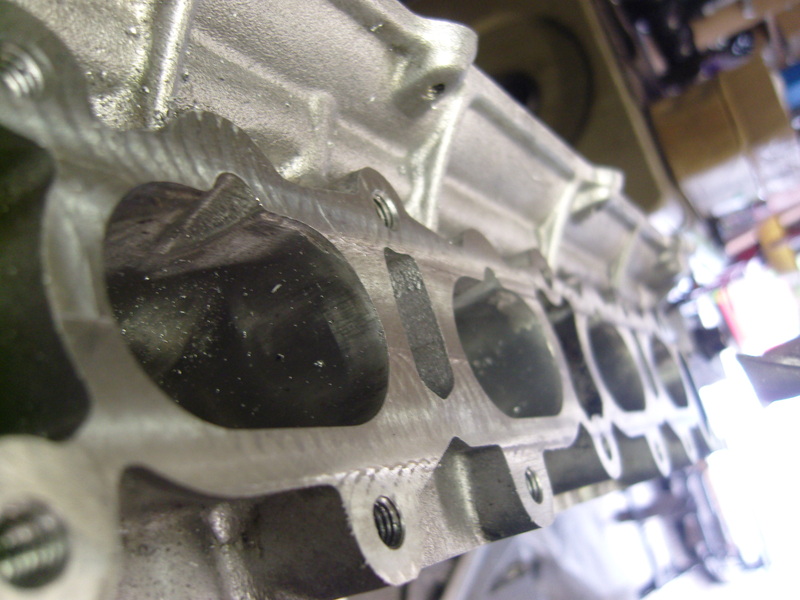 This page covers the cylinder head work to the CA18DET engine. When I build this engine for the first time the only thing I did was smoothen the intake and exhaust ports. 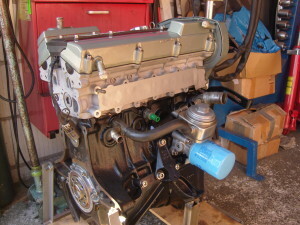 With this rebuild I wanted to do everything and bring the engine back to as-new standards. I started with skimming the intake and exhaust manifold flanges. 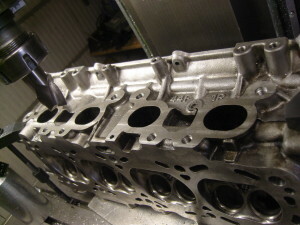 Previous gaskets had eaten their way into the surface leaving small pockets, milling just 0.15mm of was enough for a flat finish. 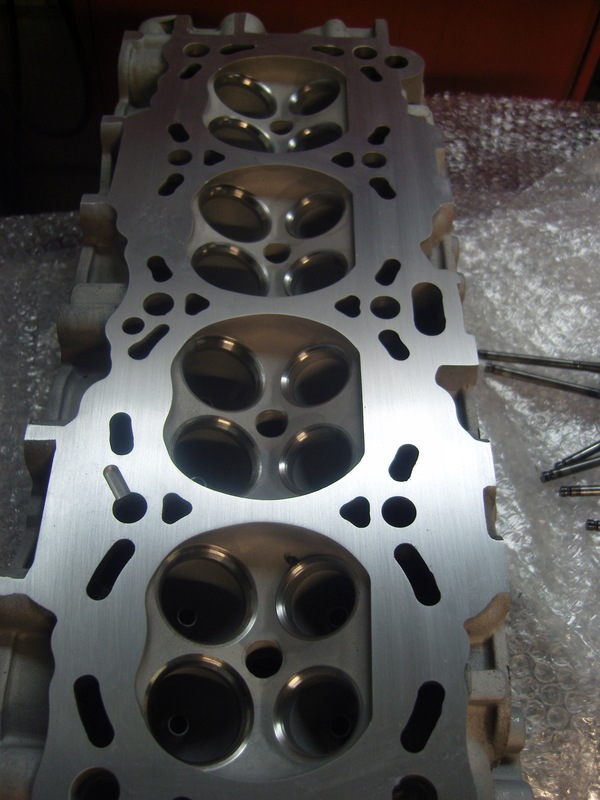 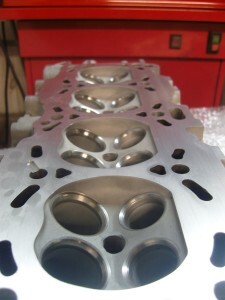 The cylinder head went to the shop to have the valve seats recut, a surface mill and a clean and sand blast job. 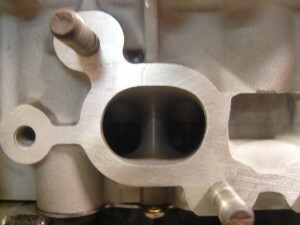 The valve seats were cut to a 3 angles, a popular way to increase airflow, as most valve seats are cut with just 1 wide angle. 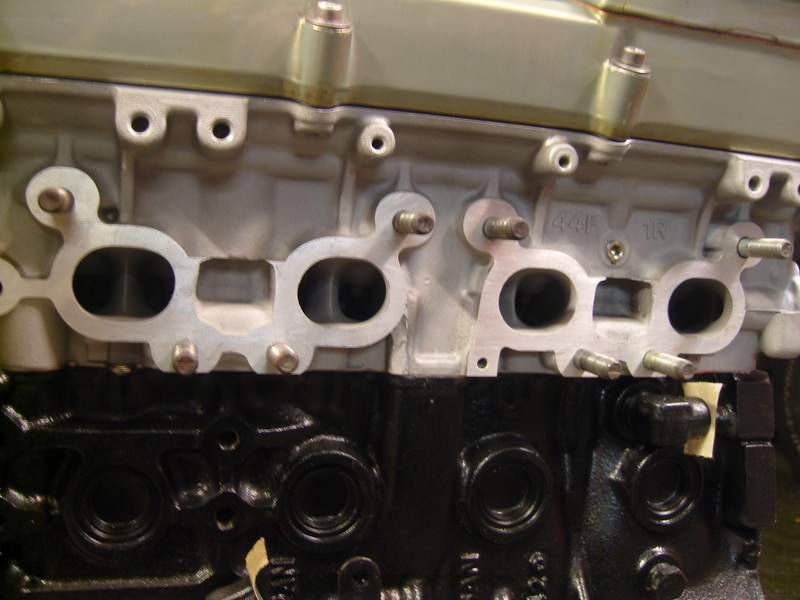 Note how some of the valve seats do no fully recess in the head, a design, or casting error. Later Nissan engines I noticed were better. 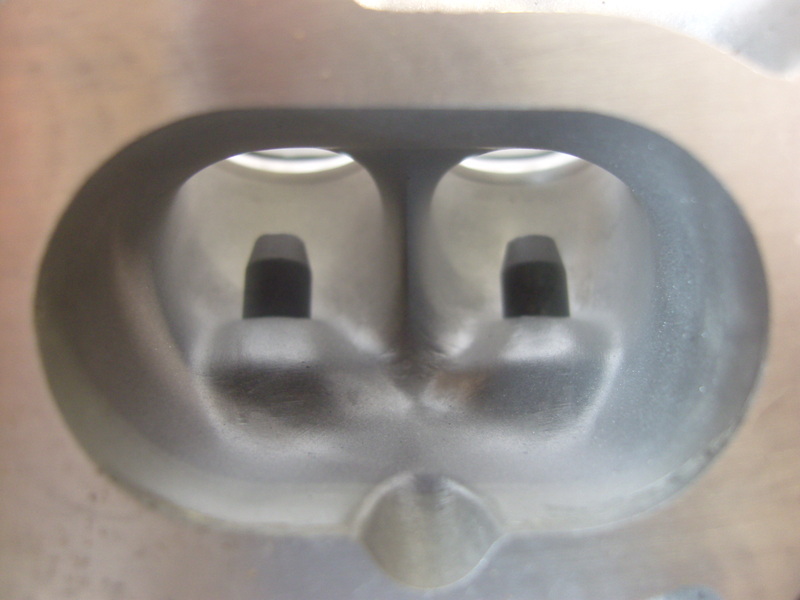 The ports were smoothened, blended for uniform airflow. 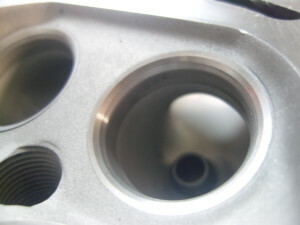 The intake ports have odd, raised sections just in front of the valve guides. 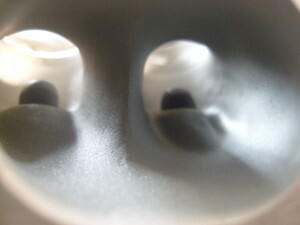 These raised sections may serve several purposes. 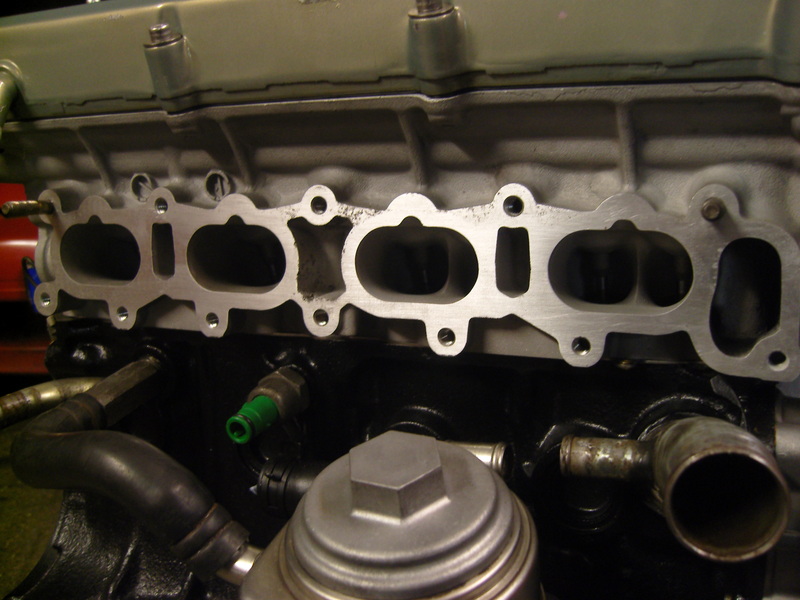 One is to add strength to the cylinder head, since the bottom of the valve springs comes close to the intake port. 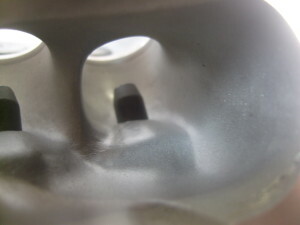 Another reason could be added fuel mixing. The raised sections certainly don’t help airflow as they introduce turbulence and upset the cross section of the port, an issue which I describe in detail in the VG30DET head work page; Page link. Overall, these heads show how engineers stretch designs to their limit, and over the top. The inlet valves on these engine are huge, in fact they are the same diameter as those found in the VG30DET(T) despite this engine having a 4mm smaller cylinder bore. Yet the Nissan engineers choose to use exhaust valves 1,6mm smaller than those found in the VG30DET(T), and reduce the inlet camshaft lift and duration over the exhaust camshaft profile. 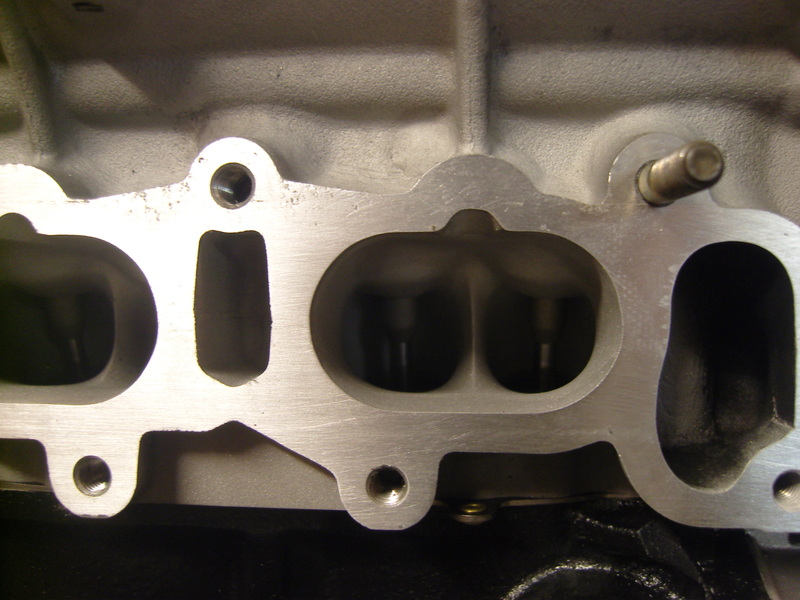 The CA18DET inlet ports are substantially larger than other Nissan engines such as the VG30DETT or SR20DET that were developed shortly after, and those engines do run similar profiled camshafts for in-and outlet. 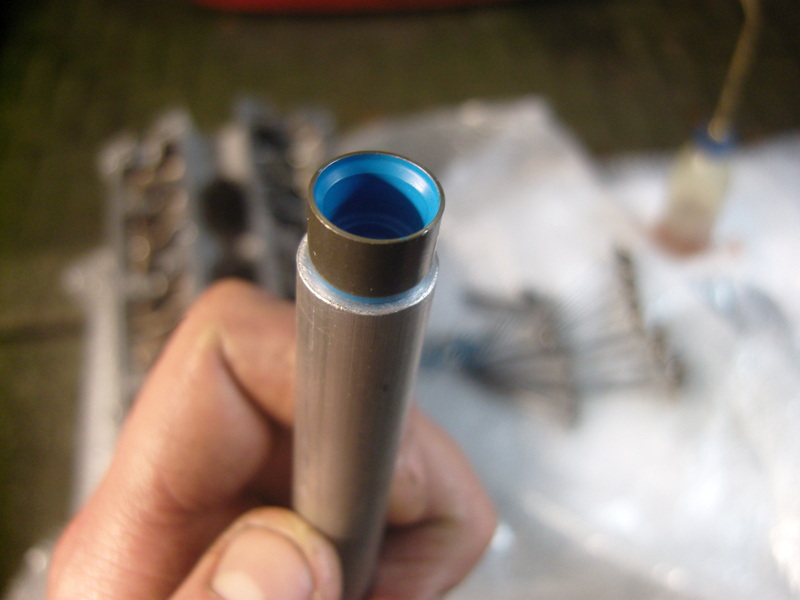 The cometic gasket set comes with Viton valve stem seals, of which the manufacturer claims has superior heat tolerance. 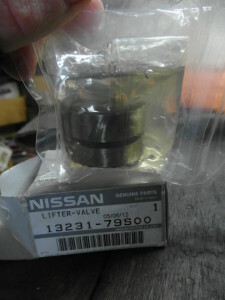 Since I’ve never seen a Nissan valve stem seal fail, the only reason anyone would use these seals is that they cost 3 times less than the Nissan seals. Cylinder heads have oil galleries drilled all the way through, normally 1 parallel with the valve lifters (to oil them and the camshaft) and a second oil gallery bored down towards the block oil gallery to feed the ‘lifter’ gallery. 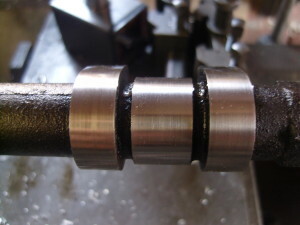 These galleries are blocked at the ends by pressed in dowels. In order to properly clean these galleries I remove the dowels and tap 1/8 NPT thread in place. The galleries can now be properly flushed and afterwards conical 1/8 plugs are inserted with Loctite. 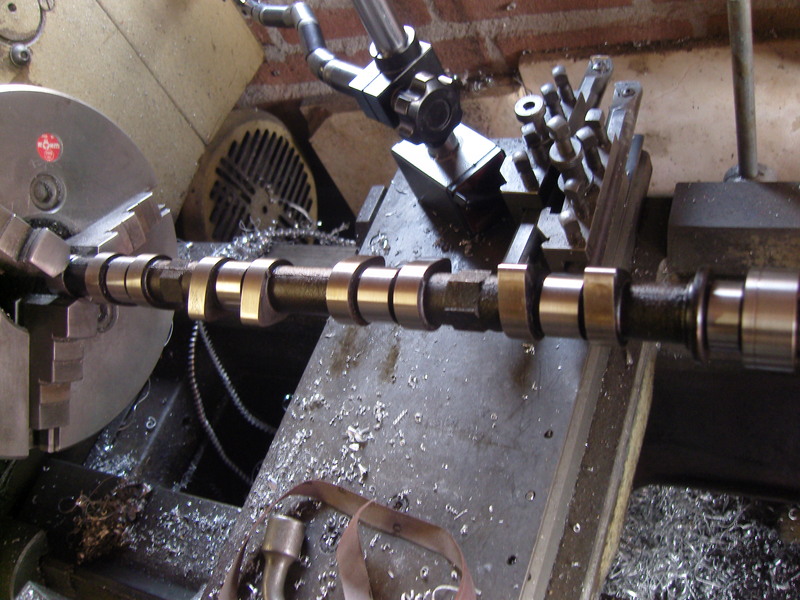 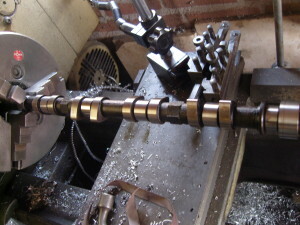 The camshafts were polished and checked for out of roundness on the lathe (for the latter using soft centered jaws instead of the regular jaws pictured). These engines are equipped with hydraulic self adjusting tappets, or bucket lifters. 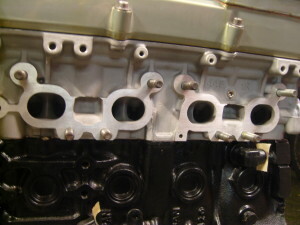 The exact same part was also used on the VG30DET(T) series and several others. 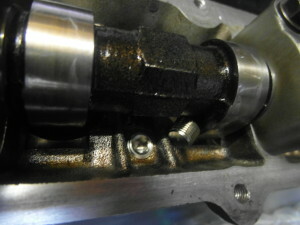 The disadvantage of these hydraulic lifters is that as the engine wears, the valve lifters often start to become noisy, an indication of leaking check balls. I suspect this to be caused by fine, abrasive debris within the oil damaging the check ball. 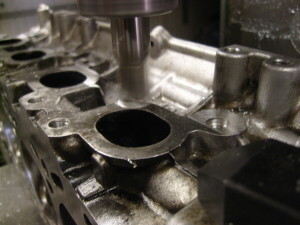 Though some people disassembly them and put the internal parts in aggressive solvents or ultrasonic cleaner machines, nothing seems to really work other than replacing them. The new lifters come packed in oil. The valve springs on these engine will last well over a lifetime. 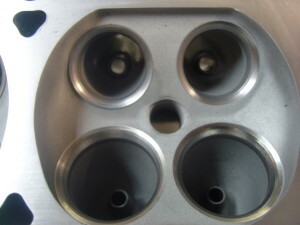 I tested each one of them and they all fell right within factory specification. 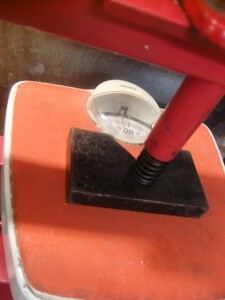 Using a scale is simple DIY way of doing it. 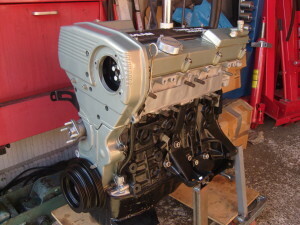 Completed engine, with apart from the work described, new water and oil pump, timing belt and idler pulleys, oil filter and rebuild heat exchanger.